Our founder is currently raising funds to support our community rangers and community development projects. By donating today you could be eligible to receive a handmade gift made by former poachers! All of our administration costs are covered so 100% of your donations will go directly into our projects. 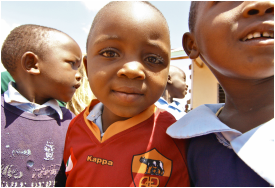 You will receive full a full donation report once the project you sponsor is complete. We also welcome 'in-kind' donations. Find out more about how you can help now! We all know Education is the key to real sustainable development. Help us build a brighter future for some of Tsavo's talented young environmentalists. Or make a difference to a marginalised family struggling with Disability. Help us out by contributing your time, skills, knowledge and enthusiasm. Placements available both in Kenya and from home. We are also Currently seeking qualified Kenyan National Board Members. 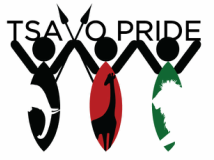 Here are some basic ways that you can help Tsavo Pride and the communities we work for that require very little effort! You can help us right now by by simply following, liking, commenting and sharing our posts. Not only does it give us strength to know that you support our efforts but it promotes our work to others who may be able to help in other ways. Twitter and other social media sites are coming soon!